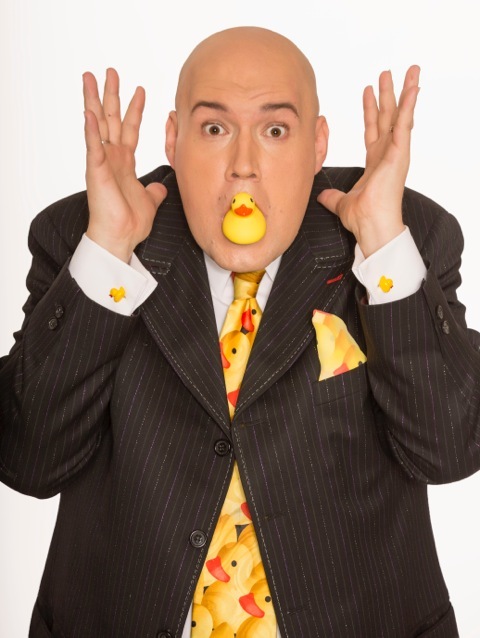 Comedy-magician Adam London loves ducks; he’s obsessed with them! This afternoon comedy magic show is hilarious and highly engaging. London’s tricks have a mix of whimsy and wit, with clever sleight of hand magic. Having perfected his craft in comedy clubs around the world, including the world famous Magic Castle in Los Angeles, Laughternoon Starring Adam London performs daily at 4 pm inside the newly renovated showroom at the D Las Vegas. Hailed as “Hysterically Funny!” by Today in Las Vegas, London is sure to leave you laughing the afternoon away. London has worked in the prestigious Magic Castle and has performed at the L.A. Comedy Club and Improv Comedy Club. He appeared on the TV show “Raising Hope.” London worked with the Mac King Comedy Magic Show for six years. Vegas4Locals price $21.50 (inclusive of taxes & fees), save $40.90! Vegas4Locals price $25.28 (inclusive of taxes & fees), save $59.92! * Extras include upgraded priority seating and a rubber duck!